Wow, thanks for your post today. Cookies are also my downfall. Seem to have the most problem with them. I will try some of your suggestions. Thanks for today’s post I too love the Enjoy Life chips, my hubby & I love chocolate chip cookies using these chips! I’ve just started gluten-free cooking. I have not tried cookies yet. We are also dairy free and oil free so I’m a little intimidated to try. Holly – you’ll be just fine! Check our GlutenFreeCookieSwap on Facebook for more recipes too, and post questions anytime for help! We have a remarkably helpful community! Thanks so much for the tips- especially about sliding the paper onto the rack to finish cooling! I am a teacher, and I promised my students cookies for beating me in a game- and I promised to make something we could ALL share (I’m the celiac, and they are very curious). Then, I found out one student is egg free- and I knew exactly where to turn! I’m making your oatmeal raisin cookies over the memorial day break- I’ll let you know what my students think! Casandra – that’s fantastic! Spreading gluten-free awareness, one student at a time! I haven’t tried baking any cookies yet, but I will definitely keep your tips handy! Lots of great tips for baking cookies. I’ll have to try out the butter and shortening combo…my cookies sometimes have a mind of their own. Glad to hear abt using egg replacer instead of real eggs. Thanks for all the great tips. i look forward to my next batch of cookies. This is so useful! 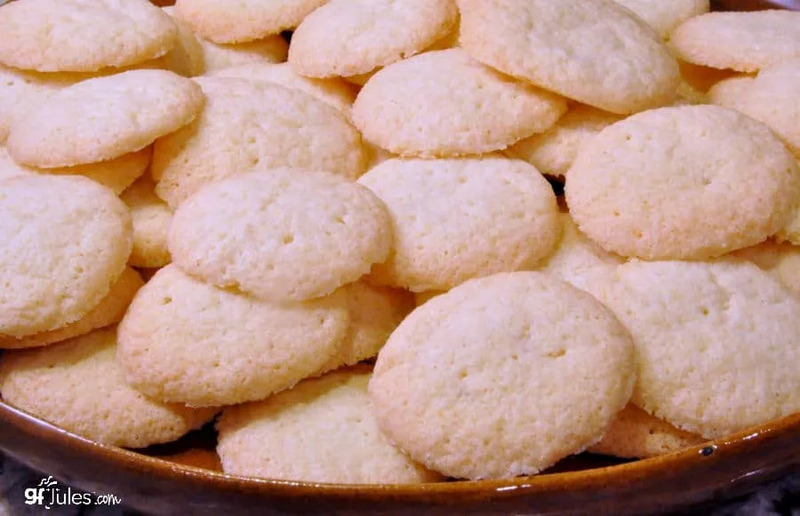 Thanks for posting a wonderful list of tips, we can now make gluten free cookies with ease! Thanks for #4, 7, and 9. They are very helpful to me! Shared on facebook! Awesome tips that are a must in GF cookie baking!! Thanks for this! I’ve been having a lot of trouble with my cookies basically disintegrating lately. Thank you for all the ideas with cookies. Very helpful! Great ideas and tips for baking cookies. Can’t wait to try them.